** BLUETOOTH **, ** BACKUP CAMERA **, ** NEW TIRES **, ABS brakes, Electronic Stability Control, Heated door mirrors, Illuminated entry, Low tire pressure warning, Remote keyless entry, Traction control. 2016 Toyota Corolla LE Clean CARFAX. CARFAX One-Owner.Awards:* 2016 KBB.com 5-Year Cost to Own Awards * 2016 KBB.com Best Buy Awards FinalistSave even more with the lowest sales tax in Illinois @ 6.25% only at Brian Bemis Toyota. Come see why there's Good, there's Better and then there's Bemis! ABS brakes, Electronic Stability Control, Illuminated entry, Low tire pressure warning, Traction control. 2016 Toyota Corolla LE Plus Clean CARFAX. CARFAX One-Owner. 27/36 City/Highway MPGAwards:* 2016 KBB.com 5-Year Cost to Own Awards * 2016 KBB.com Best Buy Awards FinalistSave even more with the lowest sales tax in Illinois @ 6.25% only at Brian Bemis Toyota. Come see why there's Good, there's Better and then there's Bemis! ABS brakes, Electronic Stability Control, Illuminated entry, Low tire pressure warning, Traction control. 2016 Toyota Corolla S Clean CARFAX. CARFAX One-Owner. 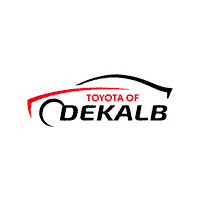 27/36 City/Highway MPGOdometer is 7971 miles below market average!Awards:* 2016 KBB.com 5-Year Cost to Own Awards * 2016 KBB.com Best Buy Awards FinalistSave even more with the lowest sales tax in Illinois @ 6.25% only at Brian Bemis Toyota. Come see why there's Good, there's Better and then there's Bemis! ABS brakes, Electronic Stability Control, Illuminated entry, Low tire pressure warning, Traction control. 2016 Toyota Corolla S Plus 27/36 City/Highway MPGAwards:* 2016 KBB.com 5-Year Cost to Own Awards * 2016 KBB.com Best Buy Awards FinalistSave even more with the lowest sales tax in Illinois @ 6.25% only at Brian Bemis Toyota. Come see why there's Good, there's Better and then there's Bemis! Black w/Sport Leather-Trimmed Ultrasuede Seat Trim, ABS brakes, Alloy wheels, Electronic Stability Control, Heated door mirrors, Illuminated entry, Low tire pressure warning, Remote keyless entry, Traction control. 2016 Toyota Camry SE Clean CARFAX. CARFAX One-Owner. 25/35 City/Highway MPGAwards:* 2016 KBB.com 10 Most Awarded Cars * 2016 KBB.com 5-Year Cost to Own Awards * 2016 KBB.com 10 Most Comfortable Cars Under $30,000 * 2016 KBB.com Best Buy Awards Finalist * 2016 KBB.com 10 Best UberX Candidates * 2016 KBB.com 10 Best Sedans Under $25,000Save even more with the lowest sales tax in Illinois @ 6.25% only at Brian Bemis Toyota. Come see why there's Good, there's Better and then there's Bemis! 1.5L 4-Cylinder Atkinson-Cycle VVT-i. 2016 Toyota Prius c Three Clean CARFAX. CARFAX One-Owner. 53/46 City/Highway MPGOdometer is 17252 miles below market average!Save even more with the lowest sales tax in Illinois @ 6.25% only at Brian Bemis Toyota. Come see why there's Good, there's Better and then there's Bemis! 1.8L 4-Cylinder DOHC 16V VVT-i. 2017 Toyota Prius Two Clean CARFAX. CARFAX One-Owner. 54/50 City/Highway MPGAwards:* 2017 KBB.com 5-Year Cost to Own Awards * 2017 KBB.com 10 Best Hybrid Cars Under $40,000 * 2017 KBB.com Best Resale Value Awards * 2017 KBB.com 10 Most Awarded BrandsSave even more with the lowest sales tax in Illinois @ 6.25% only at Brian Bemis Toyota. Come see why there's Good, there's Better and then there's Bemis! AWD, Cloth. 2016 Toyota RAV4 LE Clean CARFAX. CARFAX One-Owner. 22/29 City/Highway MPGAwards:* 2016 IIHS Top Safety Pick+ * 2016 KBB.com 10 Best SUVs Under $25,000Save even more with the lowest sales tax in Illinois @ 6.25% only at Brian Bemis Toyota. Come see why there's Good, there's Better and then there's Bemis! AWD, Cloth. 2016 Toyota RAV4 XLE Clean CARFAX. CARFAX One-Owner. 22/29 City/Highway MPGAwards:* 2016 IIHS Top Safety Pick+ * 2016 KBB.com 10 Best SUVs Under $25,000Save even more with the lowest sales tax in Illinois @ 6.25% only at Brian Bemis Toyota. Come see why there's Good, there's Better and then there's Bemis! AWD, Ash Cloth. 2016 Toyota RAV4 LE Clean CARFAX. CARFAX One-Owner. 22/29 City/Highway MPGOdometer is 6923 miles below market average!Awards:* 2016 IIHS Top Safety Pick+ * 2016 KBB.com 10 Best SUVs Under $25,000Save even more with the lowest sales tax in Illinois @ 6.25% only at Brian Bemis Toyota. Come see why there's Good, there's Better and then there's Bemis! 4WD, Black Leather. 2016 Toyota Tundra Limited CrewMax Clean CARFAX. CARFAX One-Owner.Odometer is 3212 miles below market average!Awards:* JD Power Vehicle Dependability StudySave even more with the lowest sales tax in Illinois @ 6.25% only at Brian Bemis Toyota. Come see why there's Good, there's Better and then there's Bemis! *Pricing of vehicles on this web site does not include options that may have been installed at the dealership. It does not include any taxes, title, license, ($179.81) doc fee or other charges. Pricing may include current manufacturer promotions and incentives, and/or bonus cash from Toyota Financial Services. Pricing and availability may vary based on a variety of factors, including options, dealer, specials, fees, and financing qualifications. Consult your dealer for actual price and complete details. Vehicles shown may have optional equipment at additional cost. Price good for 2 days only, please contact store by email or phone for details.